As a child prodigy, who began playing the piano at the age of three, Hiroko Nakamura has won numerous prizes. In 1959, she became the youngest musician ever to win the National Music Competition of Japan. Following her studies with Rosina Lhevine at Juilliard, she was the youngest prizewinner at the 7th International Chopin Competition. To date, Ms. Nakamura has given over 3700 performances throughout the world and has made numerous recordings. She was the only Asian pianist mentioned by Harold Schonberg in his book The Great Pianists. 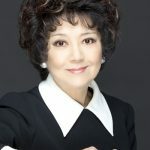 Music Adviser of the city of Hamamatsu and Music Director of the Hamamatsu International Music Competition, she is a regular juror at major international piano competitions, among them Tchaikovsky, Leeds, Rubinstein, Sydney, Busoni, Beijing, and the China Shanghai International Youth Competition. Her awards and distinctions include the Japanese Foreign Minister’s Commendation for international work, the NHK Broadcast Cultural Award, the Polish Republic’s Gold Medal for Merit to Culture Gloria Artis and the Arthur Rubinstein Gold Medal. In addition to her achievements as a musician, she has written five books, one of which received a non-fiction prize. Celebrations of the 50th anniversary of her debut include an anniversary tour in major cities across Japan and the release of Hiroko Nakamura 50th Anniversary Album box set.